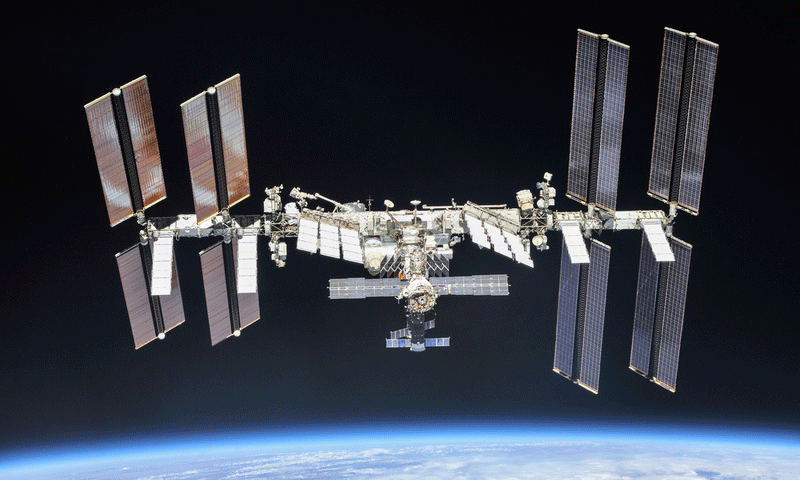 This answer shows the first image below of a vintage view of the ISS. Only one of each triplet of thermal radiators is extended from each TRRJ. The ISS' solar panels articulate to modulate the incidence of sunlight in order to present maximum cross-section when power is needed most and possibly less cross-section when power generation isn't needed and power is dumped into ballast resistors, as well as to sometimes decrease aerodynamic drag and need to reboost when the station is in eclipse. The position of the Earth (also a source of radiative loading) is always the same relative to the ISS' orientation, or at least it better be! 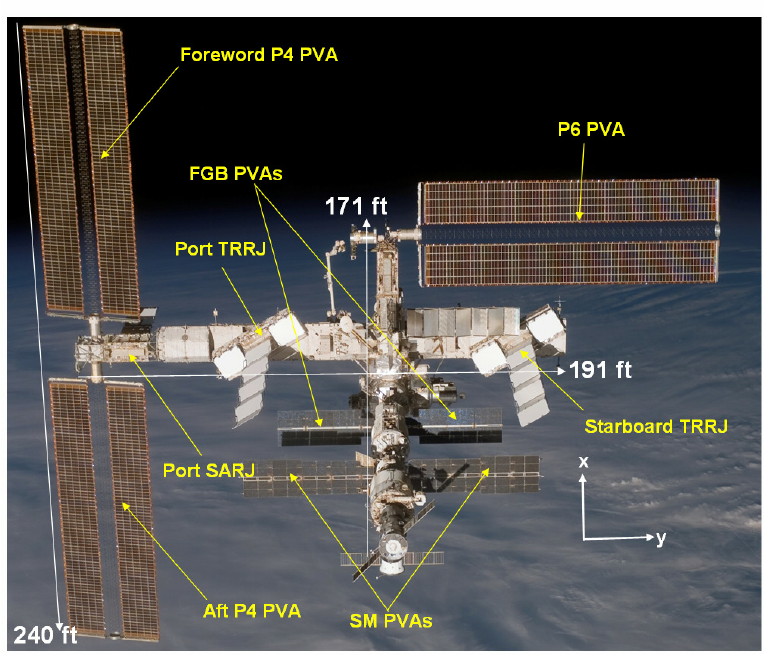 So why do the ISS' TRRJs need to tilt? 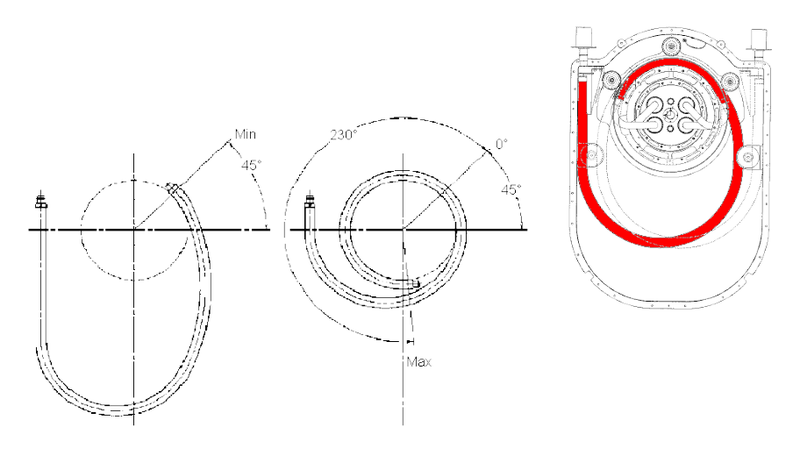 Heat Rejection - Ammonia passes from the ATA through a two way path of the Flex Hose Rotary Coupler (FHRC) where heat captured while passing through the Heat Exchangers is directed to be expelled through the Heat Rejection System Radiators (HRSRs). The radiators are rotated by the Thermal Rotary Radiator Joint (TRRJ) which continually rotates the radiator wing for optimum cooling. Source open for full size view! 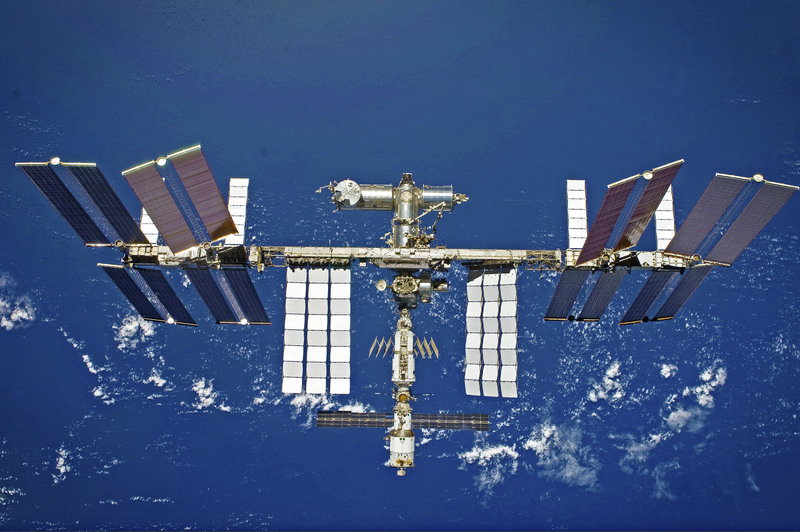 The "tilt angle" of the beam that the radiators are mounted on is called "gamma" in ISS parlance. The device is called the Thermal Radiator Rotary Joint (TRRJ) and the part of the device that passes the fluid connections across to the moving part is called the Flex Hose Rotary Coupler (FHRC). The overall goal for gamma is to keep the radiator facing edge-wise to the Sun during the Sun side of the orbit and face-wise to the Earth during the shadow side of the orbit. Software to accomplish this (called Radiator Goal Angle Calculation (RGAC)) ensures the radiators stay cold enough so the heat can be rejected but warm enough so that the ammonia does not freeze. However, just as in the solar panel positioning (see How are the orientations of the ISS' eight independent solar arrays optimized?) there are complications. A major complication is that the FHRC, unlike the solar array joints, cannot rotate continuously. The solar array joints utilize slip rings, but the FHRC uses hoses that wrap and unwrap, and they cannot do so forever. So at some point, the software must command a "radiator flip" to unwind the FHRC. So the RGAC uses GNC inputs to calculate the Theoretical Gamma to meet the overall goal, plus complications: For example, it tries to avoid flipping the radiators too soon before entering eclipse or near orbital noon. It also tries to avoid excessively fast rotations. After all the complications are taken into consideration, a commanded gamma angle is issued to the hardware. 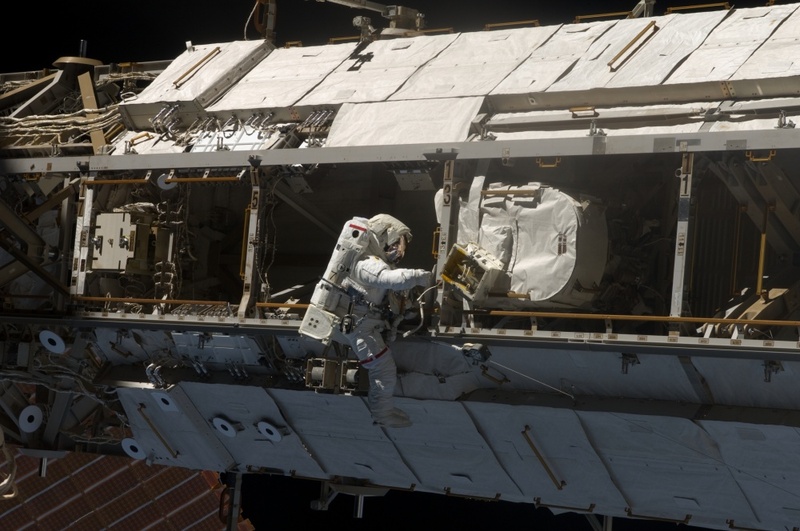 This picture shows the underside of the truss and a crewmember working on a FHRC. This graphic shows the hose wrap limits inside the FHRC. Source: this paper page 16 and personal notes. Not the answer you're looking for? Browse other questions tagged iss thermal thermal-control or ask your own question.